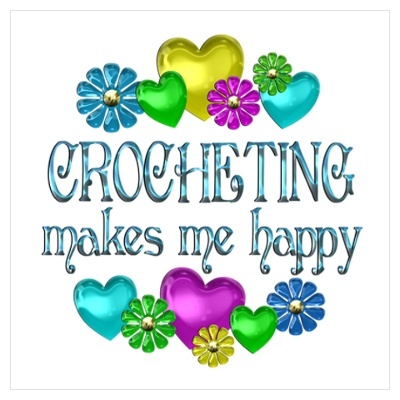 Happy Friday… What are you crocheting this weekend??? I am working on my “Pewter and Berries” Afghan…”True Colors” Afghan…”Sunburst Granny” Afghan and New Hat Patterns! love to see you there!!!! So here is to Fridays, Work’s in Progress, and Being Happy! going to try to finish up a granny square blanket! I have so many things in progress I’ve lost count lol! I can’t find where to put my pictures. I have the eight squares done!